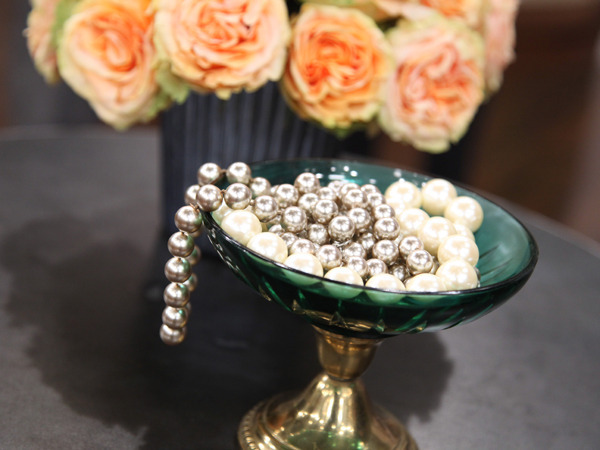 Bon Vivant and a Budget: Think Outside the Jewelry Box! Think Outside the Jewelry Box! 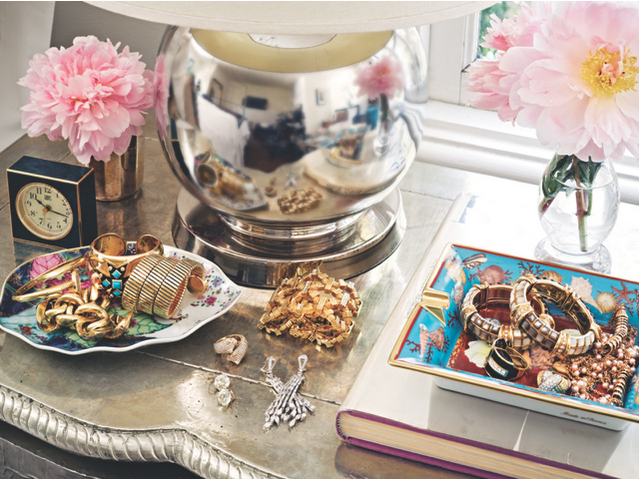 Many of us have baubles, gems and jewels that are tangled and hidden away in the recesses of dark dresser drawers. More often than not, this out-of-site jewelry remains unworn. So, what's an accessory fiend to do with all her hidden treasures, you ask?! Well, for one, don't run out and buy an overpriced jewelry stand that doesn't speak to your aesthetic (or budget). Try to think outside the jewelry box. One creative yet affordable storage solution is to re-purpose porcelain tea cups, drinking glasses and sauce dishes. If you don't already own a few, you can buy these pieces in household stores, thrift shoppes, and your local Chinatown for a very marginal cost (about $1 each). Bring them home, clean them and fill them with all your lovely jewelry! I'm sure many Bon Vivant + a Budget readers will try this at home and I'd be delighted to see the visual displays that result. I encourage you to email your pics to helene@bonvivantandabudget.com. This is so pretty! I use vintage champagne glasses too! And old cigar boxes. cool... I never thought of using old cigar boxes, but it makes sense because they definitely have character! What a beautiful post. 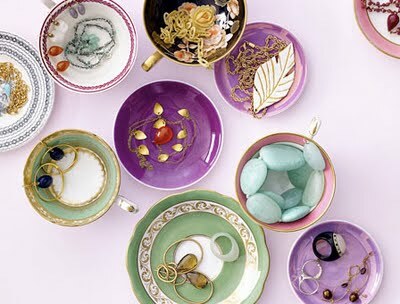 I use decorative dishes to store my jeweley too (made of plastic , because my 5 year old roams free in my jewelery land! I love your blog, and I am the newest follower:-) Looking forward for more posts from you! Thanks for the kind words and welcome! I'm so much loving this post and your ideas. I never thought of this before and I'm definitely doing this before the day runs out. I'm visiting you from African Bloggers Community. It's newly launched and I'm personally inviting you to come and join us. Hope to see you there. Nice idea. Keep it up girl. Thanks, Jessie. I appreciate your support!